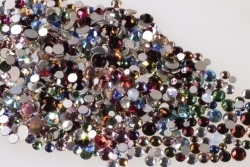 Swarovski machine cut flat back mixture. Wide variety of random gemstone colors in sizes that range from as small as 5ss (1.7mm) up to 20ss (4.7mm). Silver foil. 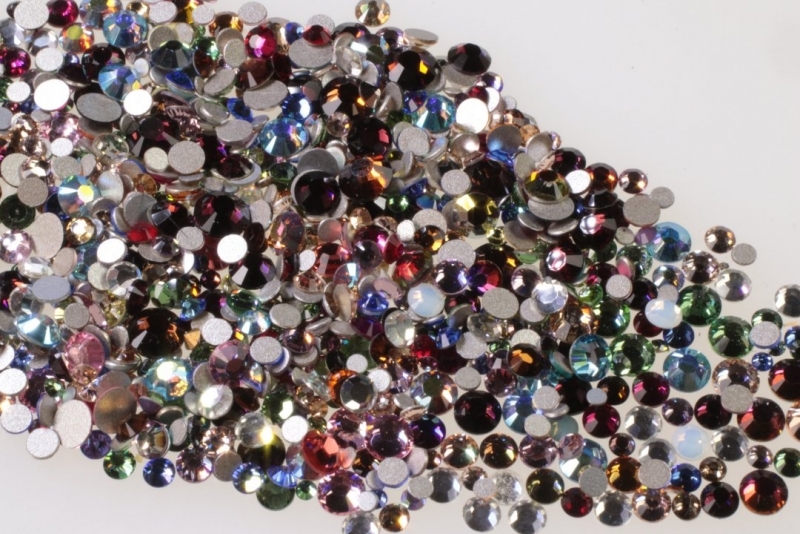 Ideal for repairs of jewelry with missing stones; jewelry designing, craft projects and nail art. Assortments will vary from pack to pack. Approx. 1,760 pieces (12.2 gross). 1 ounce (30.5 grams) minimum @ $15.00. Wolf E. Myrow ©Copyright 2019 Wolf E. Myrow, Inc.